What the title says… have a great womb ejection day. 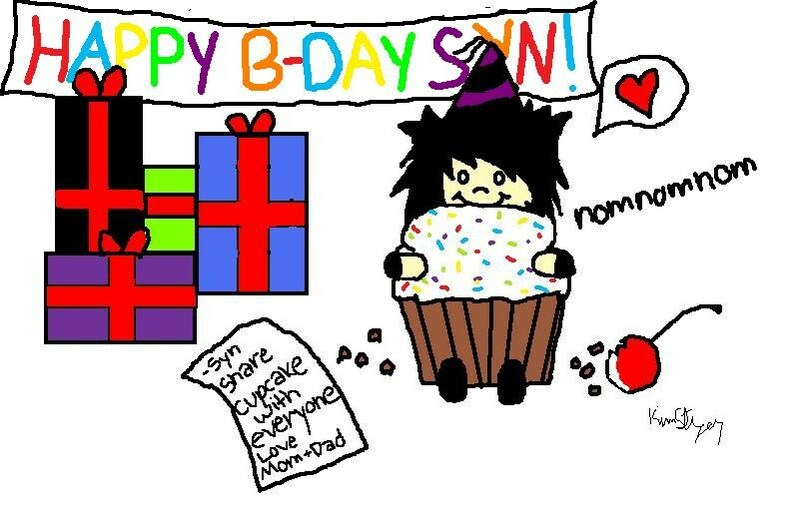 Happy Birthday Syn. I already sent you memes, plus I cant figure out how to post them on here lol but Yesss Happy Birthday beautiful lady. Happy Birthday. Survived another orbit of the sun. Grats. YEAH SHARE YOUR CUPCAKE WITH EVERYONE, YA BRAT!! !